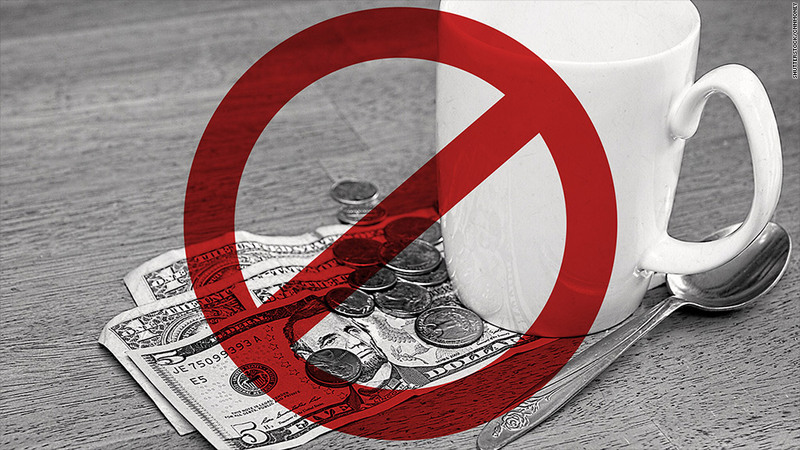 Kicking the habit: Some restaurants say no more tips. 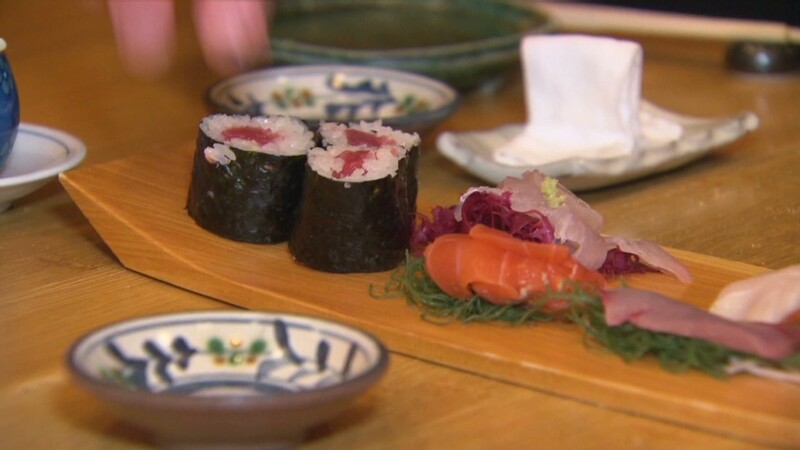 Imagine a table of diners at a high-end restaurant, getting up and leaving after their meal without leaving a tip. Sound like a case of rude customers or poor service? It could just be the future of dining out, as more restaurants implement no-tipping policies, and use alternative menu pricing to compensate employees. "There is a growing movement to change the way tipped workers are paid," said Jay Holland, government affairs coordinator at the New York State Restaurant Association. Starting Jan. 1, patrons of Bar Agricole and its sister restaurant Trou Normand in San Francisco will not be expected to leave a tip. Instead, owner Thad Vogler has decided to increase his menu prices by 20% to pay the staff and eliminate any end-of-dinner math calculations. "It's time for the restaurant business to be more like every other industry and charge what's appropriate rather than relying on other people to compensate its workers," said Vogler. Nearly 2,400 miles away in Newport, K.Y., customers of meatball shop Packhouse are also not expected to leave a tip at the end of their meal. "We are in a competitive industry and we thought this could be a point of differentiation and originality," said owner Bob Conway. "The customer won't feel the whammy at the end of their experience." He built tax and gratuity into his menu prices when he opened the restaurant at the start of 2014. The wait staff makes either $10 an hour or 20% of sales (whichever is higher) and Conway said his servers average about $16.50 an hour. These restaurateurs aren't alone in their move to end tipping. And while it isn't yet widespread, the movement is particularly catching on in many restaurants in major metropolitan areas. But no-tip policies are still far from the norm, and have a long way to go before becoming widely accepted. "This will be the most controversial and most discussed movement of the next year," predicted Andrew Freeman, president of restaurant consulting firm AF&Co. Part of the controversy relates to whether workers will get shorted. Federal law requires employers to pay tipped workers $2.13 an hour as long as their total compensation (including tips) equals the federal minimum wage of $7.25 an hour. And some states have issued their own minimum wage laws specific to tipped workers. Holland said getting rid of tips could be bad for some servers. "The workers who are earning more than minimum wage could actually be getting a decrease in their take-home pay if they weren't allowed to get tips," he said. Another issue is whether customers will feel the level of service could decline if waitstaff aren't working for tips. "Most people complaining tend to not like the perceived control they are losing over customer service," Volger said. But most diners don't tend to give tips based solely on service, according to Martin O'Neill, Hotel and Restaurant Management program director at Auburn. "People tip regardless. It's more societal pressure that weighs on the decision." Getting rid of tipping is easier said than done since it's a practice that's become so engrained in our culture. In Packhouse, despite a sign on the floor when you come in the front door and a note in the menu about the policy, Conway said some of his customers can't walk away without leaving something. "It's usually just a few dollars, and that's fine, but we try to explain that our servers are very well compensated."